Browse - Computer Tips - How can I avoid cluttering up email threads with signatures (disclaimers, confidentiality notices)? Q. How can I avoid cluttering up email threads with signatures (disclaimers, confidentiality notices)? A. 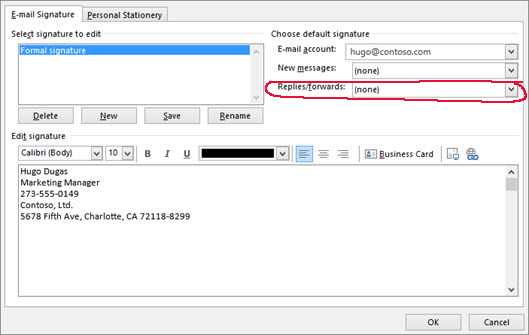 If you use Outlook, there is an option to only add the signature to NEW mails. Not Replies or Forwards.